**UPDATED** NEW PIC**Mille Fleur Question!!! Discussion in 'What Breed Or Gender is This?' started by aggieterpkatie, Aug 7, 2009. I think these are both roos. Can you tell by this pic? It's hard to get a good picture of them, but if you need a better picture I can take more. And I'm not sure how old they are. I bought them at an auction, but they're getting picked on so I'm think I'll sell them. 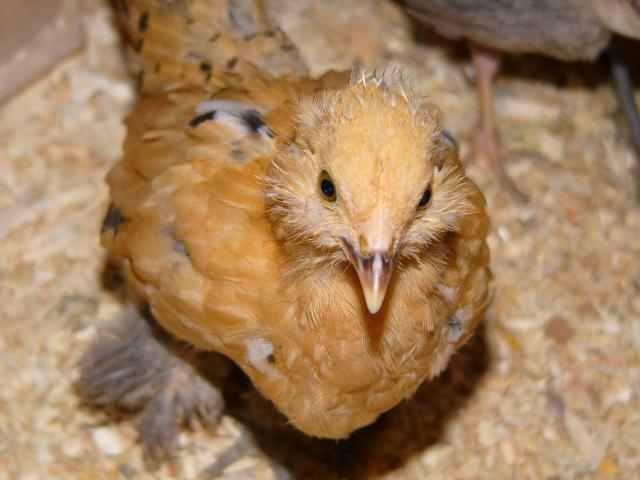 She's my mille expert and has such cute flock! A side view would be better to tell if they are male/female. Here's a side view pic! Just for the record mille fleur is the color, not the breed. They both look like roos to me. I have a pair and the female has a very little comb. They both look like my rooster. 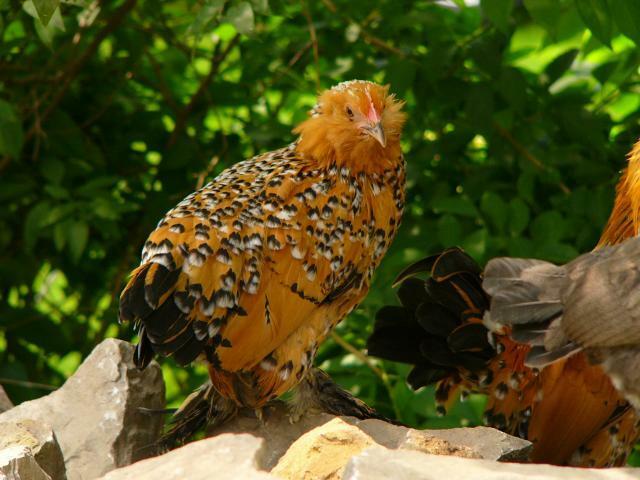 I love the breed, they are the sweetest bantams! Quote:Thanks! I guess I should have called them d'uccles. Yah looks like my mille fleur d'uccles looked (roos) when they were young. Peep my pullet doesn't have much of a comb. btw found this one of peep when she was young like yours. Yep, they are both boys.